It is early evening and Sally’s* beauty parlour in Rawalpindi is teeming with women undergoing their weekly or monthly beauty regimen. Switching between Hakka and Urdu, with occasional interjections in Pothwari, the owner of the salon refers to herself as 'local Chinese' or Pakistani-Chinese. These terms point to the profound ambivalence of Chinese ethnic identity shaped by the political, economic and historical contexts of South Asia. Being Chinese is understood on multiple levels in Pakistan. Since the advent of projects introduced by the China-Pakistan Economic Corridor (CPEC) in 2013, the visibility of the Chinese in public spaces has not gone unnoticed in the main cities of the country. Migrants, engineers and entrepreneurs arriving from diverse provinces in China are often thought of as a monolithic group related to CPEC and have come to dominate – numerically as well as in perception – other endogamous ethnic Chinese communities already present in Pakistan. What is often missing is a more nuanced understanding of the long established community grouped under the term 'Chinese' or 'chini', as well as their unique trajectories that have accompanied Pakistan’s formation. As a Taiwanese anthropologist who has spent a significant portion of her life outside of the Sinosphere, I am interested in comparative cultural issues related to migration and identity, particularly that of the most extensive and complex one of our modern world: the Chinese diaspora. Thus began a research project that took me across various cities in Pakistan, where a declining minority of ethnic Chinese families shared with me their lives and experiences that were intimately linked to the development of modern Pakistan. It is not popularly known that some of the earliest Chinese in South Asia emigrated to Kolkata (then Calcutta) during the British era; in fact, as early as the 18th century. While successive waves of migration from the provinces of Guangdong, Hubei and Shandong have been traced by contemporary historians, the subsequent trajectories of these migrants in Pakistani territories are rarely examined. In the wake of the partitioning of India in 1947, the India-China War in 1962 and later the independence of Bangladesh in 1971, ethnic Chinese families found themselves dispersed in different parts of South Asia, gaining recognition and contributing to the economies of each of their localities through restaurants, dentist clinics and beauty parlours. The events that unfolded after Partition were a constant home-making project for the ethnic Chinese of Pakistan. While doing field research, I befriend a small Pakistani-Chinese family that has grown up in Rawalpindi and specialises in manufacturing and selling leather shoes. Much like the majority of Chinese migrant communities in India and Pakistan, they are Hakka – also known as Kejia in Mandarin Chinese – a distinct ethnic and linguistic group dispersed throughout southeastern China, and through their diasporas to Southeast Asia, South Asia and other parts of the world. Considered to be members of the majority Han Chinese rather than members of an ethnic minority, they speak a Hakka dialect rather than Mandarin Chinese, the lingua franca of the Sinosphere. For many other Chinese born in India-Pakistan, 'home' has several meanings within this family. Jason’s grandfather, for example, lived in Kolkata in the 1940s, moving to Lahore at the time of Partition. After opening his first shoe store in Rawalpindi, the indomitable Indian-Chinese entrepreneur proceeded to opening another shop in Murree in 1949. More shops soon branched out through the growing family. His grandson, whom I’ll call Jason, is part of a generation of young Pakistani-Chinese with a heterogeneous sense of belonging and distant ties to the Indian-Chinese in Kolkata. Their family members are geographically mobile, sometimes to the extent of traversing across Indo-Pakistani borders in pursuit of marriage with Indian-Chinese, or joining the second and third generation of Pakistani-Chinese in Canada. When I ask about 'home', individuals within the same family refer to different cities, but always within South Asia. In Karachi, a dentist of Hubeinese descent narrates leaving his birthplace of Kolkata shortly after the India-China War in 1963. “Like many others [Chinese] who came after, we moved from India out of fear”, he says. It was a time when persecutions of ethnic Chinese by the Indian state were authorised and many were deported or sent to internment camps. After graduating in dentistry from Liaquat College of Medicine and Dentistry, he opened his own dental practice in Saddar, where his clinic stands alongside other formerly Chinese-owned clinics. “Despite how others outside might view Pakistan as a result of instability and bombings, we are very happily settled here. This is our home”, he tells me. In Islamabad, Lahore and Karachi, a similar migration story and business acumen is echoed amongst restaurant owners of a distinct type of Chinese (Hakka) cuisine best typified by the term 'desi chini khana' that caters largely to South Asian tastes. Several other of my interlocutors were born in East Pakistan to families that commonly ran tanneries and restaurants in both Dhaka (then Dacca) and Chittagong. 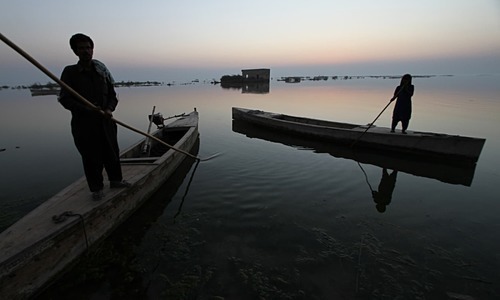 Many were witness to the armed conflict in the former Pakistani province. Stories of brutal repression are recounted solemnly to me by those seemingly at the fringes of South Asian history. One individual born in Dhaka recalls the bombing of his restaurant by 'freedom fighters' and the fleeing of family members and friends en masse from East to West Pakistan. The major events that led to the contemporary formation of Pakistan as lived by Pakistani-Chinese involve leaving their home and losing their businesses, properties and communities, to begin their lives anew in West Pakistan. A Pakistani-Chinese born in Abbottabad, however, has a more optimistic take on the conflict. “It took us [Pakistan] to lose East Pakistan for me to find my wife”, he says to me. As a result of the mass migration of Chinese from East Pakistan, he met his wife, also a Pakistani-Hakka, of 45 years, in Rawalpindi. For a long period of time, a mixture of Urdu, English and Hakka was spoken in their Pakistani-Chinese household. Preserving the Hakka language is not only useful for daily interactions between majority of the local Chinese, it also reflects their intimacy and identity with a particular place: Meixian, the ancestral village of their parents or grandparents in Guangdong province in China. The influx of Chinese migrants after CPEC, however, has meant that the local Chinese have had to address what many see as a handicap — the inability to speak Mandarin Chinese. The grandchildren of my Abbottabad-born interlocutor are now learning Mandarin Chinese in an effort to salvage what is deemed an important part of their identity other than being Pakistani. This phenomenon, taking place among the Chinese diaspora in other parts of the world as well, is also related to the rise of China as a leading economic power. 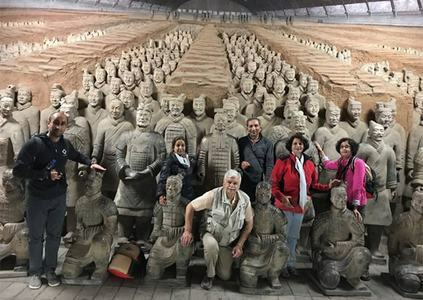 Older Pakistani-Chinese families are now but a dwindling fraction of the larger Chinese population that has been ushered in by the increasing economic cooperation between Pakistan and China. When I ask whether the Pakistani-Chinese feel Chinese, the answer is often conflicting. On one hand, some say that they called themselves Chinese as that was what Pakistanis explicitly refer to them as. On the other, a more Pakistani identity is embraced amid the younger generations. In one incident, my interlocutor in Rawalpindi was driving his scooter back home one afternoon when confronted by two Pakistanis asking, “yeh Chinese idhar kyun goom raha hai?” (“Why is this Chinese roaming around here?”), to which his jocular response was, “kahan hai Chinese? Yahan par toh sab Pakistani hain” (“Where’s the Chinese? There are only Pakistanis here”). These interactions, in fact, express the paradox of being ethnic Chinese in Pakistan, against the backdrop of CPEC and the rise in expatriates, migrants and labourers from China. Reflecting on practices, heritage and understandings of 'home' amongst minorities opens to redefining what counts as 'Chinese' but also 'Pakistani' today. And even if it doesn’t, knowing these communities broadens an understanding of China-Pakistan relations, as one not only subsumed under CPEC and its developments, but revealing a much more connected history. Alice Ping-hsiu Lin is a doctoral candidate in anthropology at the Chinese University of Hong Kong. Chinese restaurants (in Dacca, Chittagong), run by the Chinese diaspora, were very popular among the officers during Bangladesh liberation struggle. Now few 'chin-a' live in Bangladesh. Interesting article. I was always fascinated by the very much visible Pakistani Chinese community during my childhood in late 70s and early 80s. 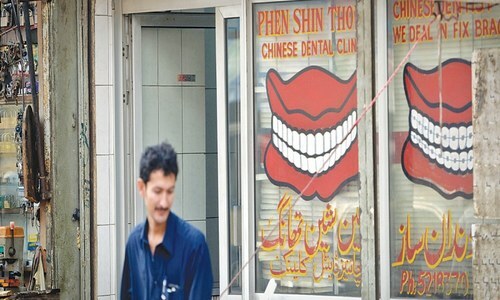 The best dentists for the masses were always the Chinese or the 'China Dandaan Saaz', as the boards outside their shops in Saddar area would read. Several Chinese restaurants would also have Chinese owners and chefs who spoke fluent urdu. Then slowly they vanished from public eye and a very few were seen. They are a treasure of Pakistan and an integral part of our society. The history of Chinese communities in Pakistan goes beyond CPEC. Well. one would think so. The Chinese live is most countries. They were literally starving in South China for 250 years and traveled all over the world finding work. Your article is nice but you left out some leading Pakistani Chinese running restaurants in Bahadurabad / Tariq Road areas of Karachi . This phenomenon, taking place among the Chinese diaspora in other parts of the world as well, is also related to the rise of China as a leading economic power. _ Chinese was the richest country in the world several times in history, and may be again. _ From 1600 to1800 under Manchu rule China's emperors were the world's richest men, and the wealth of the elite made China the richest country. These Chinese are real Pakistanis because they have decided for Pakistan ! Other call themselves Punjabi , Sindhi etc. A few years ago, I came across a Chinese-Pakistani air steward on a PIA flight from Karachi to London. I was fascinated by him as he spoke perfect Urdu. On questioning he educated me by explaining that he was a Pakistani citizen (and not Chinese), but his grandparents had migrated to Karachi some 50 years ago to join the already sizeable community in that city. Long live Pakistan and the diversity of Pakistan! very intresting insight.. will be more intresting once CEPEC is complete. It is nice to read this article we human being wonder round the world and make home and settle. @twopat yes. Real cool answer ! I hope we all answer the same way. Interesting article; the Chinese have a positive connection within Pakistanis generally. However, it is going to be tested depending upon how CPEC progresses. The CPEC project, by definition, should benefit both Pakistan and China, but the Chinese government, as the "senior" partner, must be careful to ensure the sovereign status of Gawadar (and Pakistan as a whole) is not harmed - ever. Taking geopolitics into account, both countries need each other, and a longer-term approach, accompanied by mutual respect, should be taken by both. Being Chinese in Pakistan would be like being a British during the Raj days. Do anything with the locals and get away with it. Loot, shoot and scoot, after all you are the masters. Must be great. Now I feel like being a Chinese in Pakistan. Very nice article, first time I think about the early Hakha Chinese settlers who called Pakistan home and different from the recent Economic migrants from China. I lived in Saddar, and had many Chinese friends. We grew up together, went to the same schools, and many, like the Goans of Pakistan, moved to Canada and the US and thriving. Thank you Alice. I learned a lot from this article. One of the best Chinese cuisine experience, was in my students day in Gulberg Lahore, in basement of on of the plazas on main boulevard. We used to visit regularly to eat chicken chowmein. I went to Cork's Private (later Govt.) School in PECHS. I had some Chinese class fellows, whose family owned Chinese restaurants in the area. One particular one being Shanghai Chinese Restaurant opposite of Café De Khan. My youngest sister those days was very little and just beginning to walk. My mother specifically wanted to go there because the girls over there (my friends from school), will take my sister away and play with her while we ate. Very good days. Excellent memories! Friends I have seen Chinese people in my village. I'm from Interior Sindh and this was a bit strange few year back but now I'm getting used to it. I like Chini people, but I really don't like the strange foods they eat, please don't take me wrong but I have seen Chini people eat insects which I know it's common in China but in Pakistan this is going to be very strange as most people in my village are vegetarians and those who eat meat they also don't eat insects. The Chini people are in my village to work on CPEC projects like coal and construction of roads and other infrastructure, I have also seen Filipino people but the seem to be more desi because they can also speak English, so I can talk to them and get to know them, but Chini people only speak Mandarin or other dialects from China. Those are my observation. We also have to cut this deficit with China right now they import 1 billion from Pakistan and we import over 12 billion dollars of Chini imports that not fair for Pakistan. Research the Indian Chinese maam. Several have done exceedingly well in business, and at least one is on the threshold of becoming a dollar billionaire. Some of the Pak-Chinese are also serving in the government, my brother told my years ago of a inspector in police that he met. lots of chinese in east Punjab. they blend in so easily. Great insights to one of the most understood yet most entrepreneurial and loyal ethnic minorities of Pakistan. Thanks for sharing! On Mall Road in Murree, we used to buy fur slippers from a chinese shoe shop called "L. Fooghies." It vanished in the 80s. A treasured memory from childhood -- the proprietor was an old chinese man with silver bear and fluent Urdu who used to offer sweets to any kid that walked into the shop! Pakistan enjoys a rich and diversify culture, heritage and population mix. However, majority of the us due to lack or education and awareness stereotype our countrymen who look different. Just to share a few stories here: One of my friend's cousin visiting him in Karachi was so surprised to see Sheedi's working at Kemari Harbour that he asked " I didn't know Africans are coming all the way to work in Pakistan". Another one of my duel national friend was asked at Islamabad Airport " How come you being a Hindu are also a Pakistani?" Let's appreciates the colours we all bring to this beautiful country called Pakistan. Reading the statement "we are all Pakistani here" brought a tear of happiness mixed with pride within me. I am glad to know I have Pakistani brothers and sisters of Chinese ethnicity. This is your home as much as it is mine. I remember going to the Chinese 'dandan saz' dentist in Saddar near Empress Market when I was a kid. He was a good man, always smiling and welcoming.